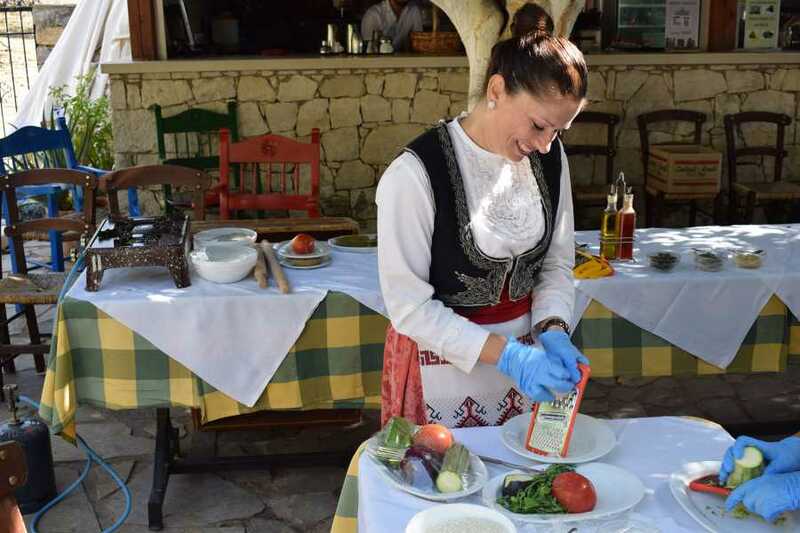 Experience the tradition of Cretan people and learn how to make delicious Greek specialties during this engaging and fun cooking class. Discover the old authentic recipes shared from generation to generation with this Cretan Cooking Class in Heraklion! Expand your palate and add to your cooking skills with this Cretan Cooking Class in Heraklion. 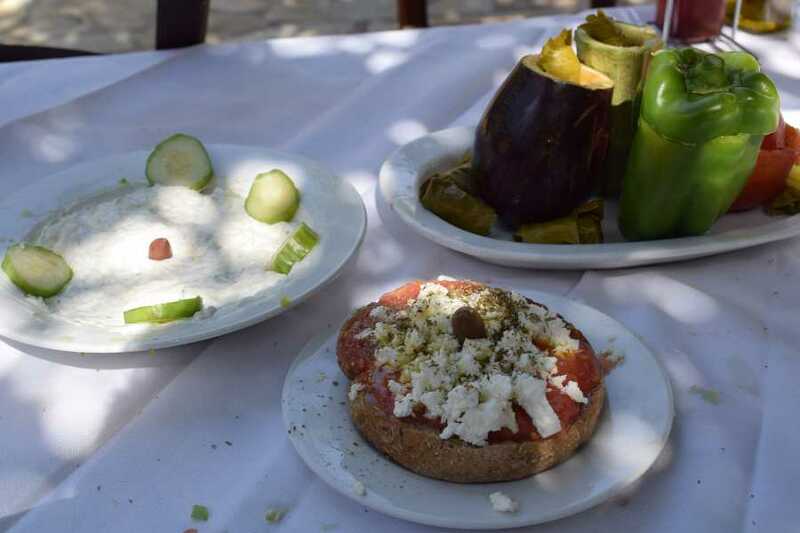 Cretan cuisine is considered to be one of the healthiest diets in the world that is why great attention is devoted to preserving the authenticity of it. With the guidance of expert chefs, you will learn a Cretan grandmother’s recipes for traditional dishes in this cooking class in Heraklion, such as dakos, roasted lamb, gemista, and more! 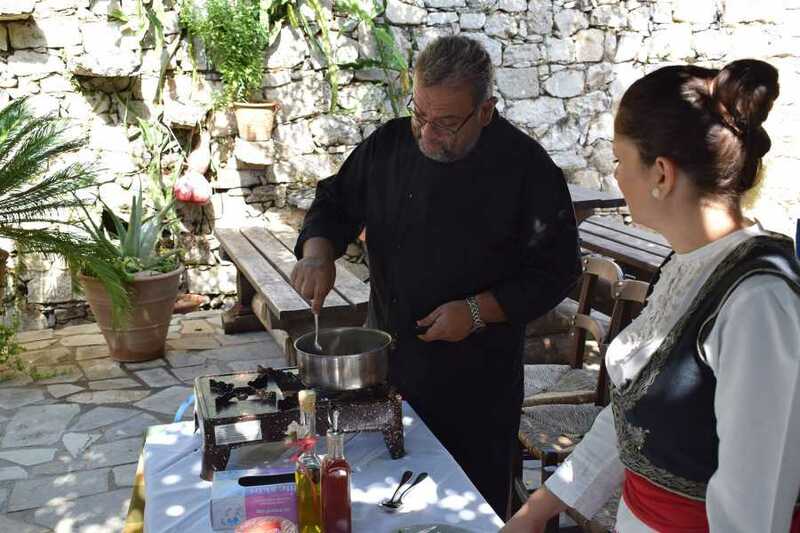 Through this unique Cretan cooking class, you will develop new skill sets and learn how to choose proper ingredients for authentic Greek specialties. 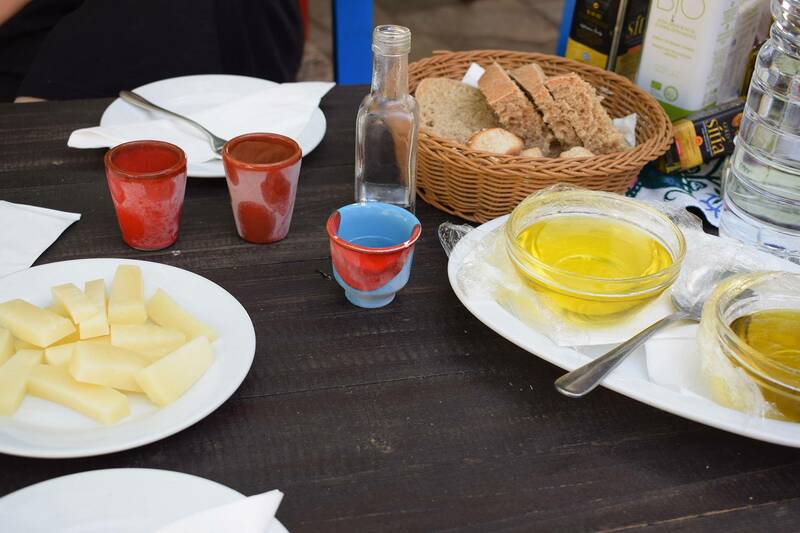 If you are looking for things to do in Heraklion than this Cretan cooking class will surely not disappoint. The transportation will be organized to pick you up from your accommodation and take you to the restaurant located in the quiet suburbs of Heraklion. Once you reach the restaurant you are ready to get your hands dirty and enjoy this Cretan cooking class to the fullest. 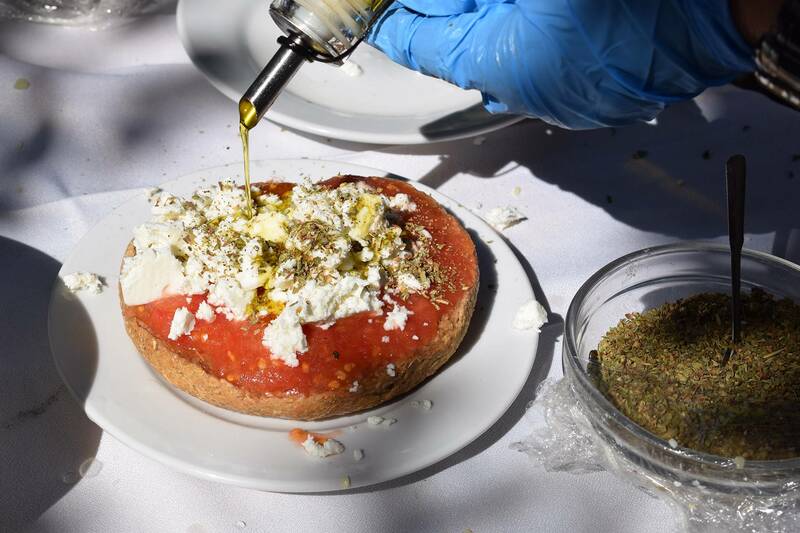 Start off by making your own dakos – a local specialty made of rusks and finely chopped tomatoes and feta. Master the art of making lamb with raw artichokes, as well as gemista – stuffed vegetables with seasoning. To top it all off: what is a Cretan cooking class without making some traditional pies with sweet cheese and honey! The transportation will pick you up from the restaurant and take you back to your original location.